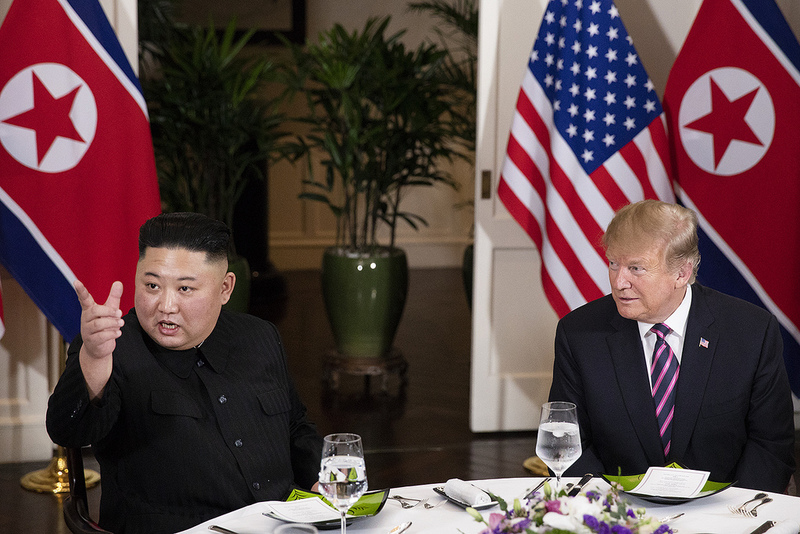 Following the Trump-Kim summits and a gush of commentary on “presidential diplomacy”, “face-to-face diplomacy”, “summit diplomacy”, and even “Trumpian diplomacy”, we’ve somehow come to accept politicians as diplomats. It may be time to recall the difference – before it’s too late. In chess, leadership pieces are played at the right time. The King is vulnerable and is protected, the Queen is powerful and used strategically. Why send the leaders out at the earliest stages? While it may be splitting hairs, leadership summits are not “diplomacy”. If we consider diplomacy to be the mediation of estranged entities by official representatives, then leadership summits aren’t diplomacy. Even the simplest definition, diplomacy is what diplomats do, then leadership summits aren’t diplomacy. There’s certainly lots of diplomacy before, around, and after summits – negotiation, protocol, drafting, public diplomacy, reporting – but what the leaders themselves actually do is not diplomacy – it’s political leadership. History is a powerful teacher. Political leadership and diplomacy evolved over thousands of years into distinct fields. While a leader can display diplomacy, and a diplomat can display leadership – they are very different roles. There are good reasons for this separation. First, political leaders are reliant on domestic electoral or other power bases. This means they focus on domestic events, and domestic stakeholders and supporters influence their decision making. Social media means what is external is also domestic – and vice versa. It’s hard to imagine former White House lawyer Michael Cohen’s congressional testimony not influencing Trump’s performance. In contrast, diplomats are public servants. Their performance depends solely on standards of integrity and professionalism. Second, in strategic terms, political leadership is an instrument to be brought out at the right time – not on opening. In chess, leadership pieces are played at the right time. The King is vulnerable and is protected, the Queen is powerful and used strategically. Why send the leaders out at the earliest stages? Let the Pawns (Foreign Service Officers) do the early work, the Knights, Bishops and Rooks (Under-Secretaries, Deputy Secretaries, and Special Representatives) do the set-up, and the King or Queen (Secretary of State or President) take the glory. Third, having leaders play a larger role at opening, essentially when working level negotiations are still underway, makes subsequent delegation impossible. The delegate is discounted and is seen as an impediment to the decision maker. The role of US Special Representative for North Korea, Stephen Biegun, was already difficult with Trump’s undermining Twitter platitudes. It becomes more difficult with every summit. Excluding him from the “social dinner” at the Metropole didn’t help either. Finally, political leaders are not trained in diplomacy. Politicians profit from rhetoric. They tend towards the emotional, dramatic, sentimental, moral, or exhibitive aspects of interaction. They want “quick fixes” and to “win” or “walk away”. Diplomats profit from reliability, accuracy, patience, modesty and tact. They seek practical, common sense, outcomes – arriving at a position which best accommodates their needs that are also acceptable to the other side. Most importantly, the idea that political leaders can profit from “friendship”, “trust” or any other form of intuitive supposition made at a summit is laughable. Diplomatic trust cannot be built through leadership summits. Believing political leaders can gain a solid understanding of a partner’s intentions through face-to-face meetings is according them undeserved capabilities that exist only in the domain of psychologists, intelligence agents, and used car dealers. Imagining that three or four meetings within the term of a presidency can achieve what diplomats establish over an entire career belies the concept of diplomatic trust. Diplomats know that trust and intention cannot be discerned by handshakes, voice tone, facial expressions, eye contact, twitches, or body posture. Culture affects negotiation. Culture can make eye contact honest or aggressive, and a smile welcoming or weird. Diplomats overcome such differences through tacit knowledge, experience and universal modes of interaction or protocol. For a diplomat, trust itself is based on the idea that a partner can hold their word and secure the support to fulfil agreements. This trust can only be built up over time and through repeated interaction. British diplomat Harold Nicolson argued there is a stock market of diplomatic reputation that’s built up over repeated interaction. As classes of diplomats from partner countries progress through the ranks they come to an estimation of each other’s character. When they face each other in major negotiations at the senior levels of their career, they already know who is reliable and who is not, who to trust, and who to distrust. Diplomacy evolved as a permanent institution in every capital city across the globe because it facilitated the building of diplomatic trust, which in turn supplemented the lack of political trust. Political leadership and diplomacy are different. Remembering this points to the need to fill the ranks of the foreign ministries, give diplomats the trust, confidence and resources they deserve, and allow them to do their jobs. Any junior diplomat who has waited hours at the airport for a politician’s arrival knows there is a big difference between political leadership and diplomacy. It’s time senior political leaders recognise this as well. Battling climate change was a signature issue of President Barack Obama’s tenure, particularly during the his second term.